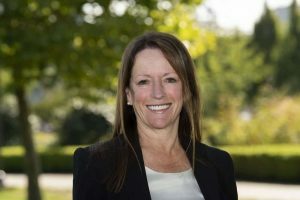 SURREY First Councillor Linda Annis says a proposal to shelve plans for new community facilities such as the Grandview Heights Community Centre and Library, Cloverdale Sport and Ice Complex, and the Fleetwood Community Centre and Library expansion is “short-sighted and shortchanges” Surrey families. Annis added that Surrey also has one of the lowest tax and debt ratios in the Lower Mainland and “is more than capable” of paying for the planned projects. Annis, who is also Executive Director of Metro Vancouver Crime Stoppers, said community facilities also go a long way to helping keep children and young people from being recruited by gangs.